Are you going to this year’s QuickBooks Connect in San Jose, California? Taking place between the 5th to 7th November 2018, QuickBooks Connect brings more than 5,000 people together. It’s the largest QuickBooks event across the globe, and one of the largest accounting conferences in the States. And where better to host it than the home of innovation? Nestled in the heart of Silicon Valley, San Jose was California’s first city and former capital. From its farming roots, it’s now home to thousands of tech companies, including IBM, eBay, Cisco Systems and Adobe. As last year’s wrap-up shows, there’s plenty of inspiration to take away. And this year’s set to be bigger than ever. 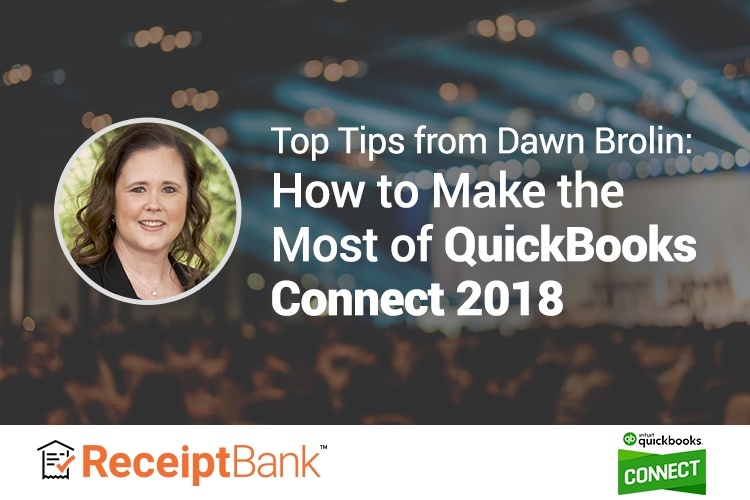 That’s why we talked to Dawn Brolin about how to make the most of QuickBooks Connect, without going into information overload. Dawn is an international speaker and CEO of Powerful Accounting. Just last week, she was named one of the top 100 most influential people in accounting by Accounting Today, and is a QuickBooks Connect veteran. Here are some of her top tips to help you prepare, excel and stay accountable after the event. Prior to your arrival, Dawn recommends spending some time planning what you want to get out of the conference. Analyze your practice before you go to understand what three things you need to help your firm and team. “Make sure you take advantage of every single possible opportunity to get what you need. Draw up a list of questions to ask. Remember we’re all in this together,” Dawn urges. Visit the QuickBooks Connect website. Read the agenda, and plan out the three days around who you want to see and where. You can also download the QuickBooks Connect mobile app, which alerts you to the sessions you’ve signed up for. Before you walk into the room, make sure your clients are being taken care of, so you can give QuickBooks Connect your full attention. And Lisa Ling, the executive producer and host of This is life on CNN, the former field correspondent for The Oprah Winfrey Show and foreign correspondent covering stories too often ignored. Tell your clients when you’ll be out of office, and let them know you’ll have very limited access to your emails or phone number. If there is anything critical before you leave, ask them to send it to you by a certain day with a clear cut-off point. Dawn’s session will be held at 7:45 am on Tuesday morning. But don’t worry about squeezing in that early morning coffee. “You won’t need coffee, nor any kind of power shots. I’m going to give you enough energy to send you through the rest of the conference,” she reassures. QuickBooks Connect is a great opportunity to meet other accounting professionals, bookkeepers and CPAs in the accounting industry, plus other successful small business owners. For Dawn, one of the resounding messages of QuickBooks Connect is that we are in all this together. “The conversations that happen outside of the classroom are some of the most valuable advice I’ve ever gotten,” says Dawn. And there’s no reason why you should miss out on this if you’re flying solo. For some, networking can be an anxiety-inducing activity that’s best avoided. Dawn recommends focusing on one or two people first. Indeed in the past, many of our partners have done exactly that. They are still in touch with other accounting professionals 3-4 years later, and perhaps best of all, hold each other accountable. Every year, they ask each other what they learned and how they are putting it into practice. From those little things, big things will and do grow. “It’s like watching your best friends or family grow up. That’s really it for me, it’s just in my heart. It’s nice to have that face-to-face with people you’ve watched from afar, and to know that we are not alone. This is an opportunity to learn together, share what works and commiserate over what hasn’t,” adds Dawn. Book a 30-minute 1:1 demo at QuickBooks Connect to find out how you can grow your firm with Receipt Bank. That’s also how Dawn got to know Damien Greathead, our Vice President of Global Accountants Programs, built a longstanding relationship with Receipt Bank. The social events at QuickBooks Connect are often sponsored by the leaders in accounting technology. “Go to their events, meet their team, and go to the vendor area where people are recommending solutions. Learn about what they’re doing. They really become a part of your family, and they’re here to help you,” says Dawn. Even if you are not ready to buy something, you can focus on building out your professional network, get insider insights into how the product works and make sure you’re getting your voice heard. Receipt Bank and other products in the technology ecosystem are developed for you, after all. Between the inspiring keynotes, hands-on sessions and social events, it’s important to take good care of yourself. Plus, you can use these breaks to jot down 2-3 things you’ve learnt in the day. When the curtain closes on this year’s QuickBooks Connect and you return to the office, re-read your learnings and revisit your roadmap from Dawn’s breakout session. Prioritize what you need to do, work out how to put it into action, and set a clear deadline. (BOTH WORTH OVER $150) ON US. BOOK A DEMO TODAY.